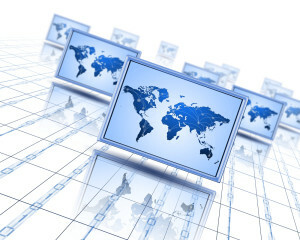 At Comtech Global, Inc we provide excellence in Information Technology Consulting & Solutions. An in-depth knowledge of various technology areas enables us to provide end-to-end solutions and services. Comtech Global, Inc understands the value associated with providing a total solution that fully addresses the business needs of our customers. We have a lot of different people within our organization with various interest and knowledge. The thing they have in common is the will to perform and produce overwhelming results. Furthermore, they are all selected among a large number of competing professionals, and have the best qualifications available. As your service provider, we provide expert advice and guidance in all aspects of software development. Our mentors will help your team deliver results, and give them the tools to excel in future projects. Our senior engineers can work with your development team for consulting in new technologies, introduce new development processes and architecture, conduct code reviews or help your team over a difficult or complex development issue. Total solution consulting services offered to you from the experts. > Supervising and support . All the support and development provided by Comtech Global will follow strict compliance with the Industrial standards. Business intelligence (BI) is a set of theories, methodologies, architectures, and technologies that transform raw data into meaningful and useful information for business purposes. BI can handle enormous amounts of unstructured data to help identify, develop and otherwise create new opportunities. BI, in simple words, makes interpreting voluminous data friendly. Making use of new opportunities and implementing an effective strategy can provide a competitive market advantage and long-term stability. BI technologies provide historical, current and predictive views of business operations. Common functions of business intelligence technologies are reporting, online analytical processing, analytics, data mining, process mining, complex event processing, business performance management, benchmarking, text mining, predictive analytics and prescriptive analytics. Comtech Global’s Business Intelligence practice can help our client to turn sales, marketing financial data into high valuable information, reporting and analytics. 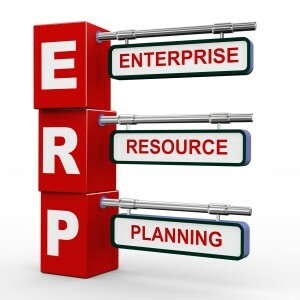 This improves the performance of the enterprise by making better decisions and better investments. Our qualified professionals help to drive innovation. Our competencies in Business Intelligence Enterprise BI Strategy: We can help you define a holistic business intelligence strategy that measurably improves your sales and marketing effectiveness. Information Management: We can facilitate your commercial data integration, information governance, data mastering and aggregation of diverse datasets. Analytics and Reporting: We can provide untapped insight through specialized executive dashboards, sales force reports and scorecards, ad hoc analytics, marketing campaign ROI analysis and regulatory compliance tracking reports. 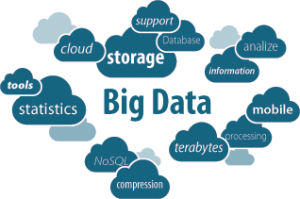 Big data is a popular term used to describe the exponential growth and availability of data, both structured and unstructured. The internet days has let huge amount of data to be available for the business and hence big data has become more important to the business for accurate analasys. More accurate analyses may lead to more confident decision making and better decisions can mean greater operational efficiencies, cost reductions and reduced risk. With the availability of so many sources in today’s world, acquiring large amounts of data is not the real challenge, but what we do with the data that matters. The hopeful vision is that organizations will be able to take data from any source, harness relevant data and analyze it to find answers that enable 1) cost reductions, 2) time reductions, 3) new product development & optimized offerings, and 4) smarter business decision making. > Determine root causes of failures, issues and defects in near-real time result in potentially saving billions of dollars annually. > Optimize routes for many thousands of package delivery vehicles while they are on the road. > Analyze millions of SKUs to determine prices that maximize profit and clear inventory. > Generate retail coupons at the point of sale based on the customer’s current and past purchases. > Send tailored recommendations to mobile devices while customers are in the right area to take advantage of offers. > Recalculate entire risk portfolios in minutes. > Quickly identify customers who matter the most. > Use click stream analysis and data mining to detect fraudulent behavior. > Expertise of our consultants bring in on board extensive experience and industry specific leading practices requisite to tackle virtually any data challenge. Our job is to help you understand how to better leverage information efficiently, which performance metrics matter most to different industries, and what tools and techniques transform data sources into actionable insights. In today’s mobile world, more workers are using mobile devices such as smart phones or tablets, as well as accessing cloud service to conduct their business on a day-to-day basis. Business environments are changing dramatically with many customized mobile devices. Enterprise mobility refers to this shift in business practices, where more employees work outside the office and must access secure corporate data to conduct daily tasks. Mobility allows workers to become more productive and gives them freedom of using their own device. Since many people are fundamentally changing the way they work, in order to remain competitive, organizations are making mobile software solutions accessible through several devices. The improved mobile productivity that results from mobile access to company software and information can mean a greater return on investement for businesses investing in mobile software solutions, as well as improved sales and communication. The changes are not simply limited to the devices themselves,but also about how mobile devices integrate with back-end corporate system. Comtech Global has the expertise to help you design and implement new business process to take advantage of these changes. We can offer the needed apps, integration and migration deployment in IOS, Android and Windows that will enable your enterprise to adapt to the modern level of business. 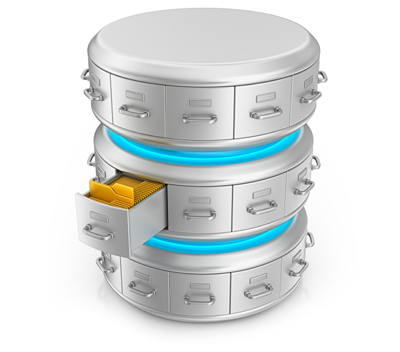 A database is very essential to store large amount of data for a business. It helps make meaningful information from large amount of data stored. 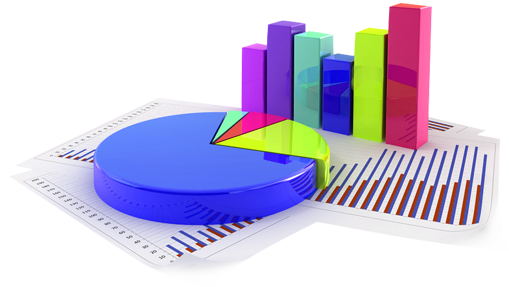 Database helps to generate reports based on real time data. Comtech Global can deliver customer designed database application using a wide variety of tools , techniques and programming language including Visual Basic, SQL Server, MY SQL, MS Access and ORACLE and can advise you on most appropriate techniques to suit your database needs. ORACLE: It is one of the most popular RDBMS, designed for data creation, maintenance and report. It is a closed source. It is majorly used as a backend tool for web developments. MYSQL: It is a open source database software, with over 100 million copies of software downloaded. It has superior speed, reliability, and ease of use that makes MY SQL a preferred choice for Telecom companies, Web, web2.0, SaaS, and many forward thinking corporate IT managers as it eliminates the major problem associated with downtime, maintenance and administration for modern, online application. IBM DB2: DB2 a short for Database 2, a family of RDBMS products offered by IBM. DB2 is an open database environment that runs on a wide variety of computing platforms. A DB2 database can grow from a small single user application to large multi user system. Using SQL users can retrieve data from DB2 and other databases. 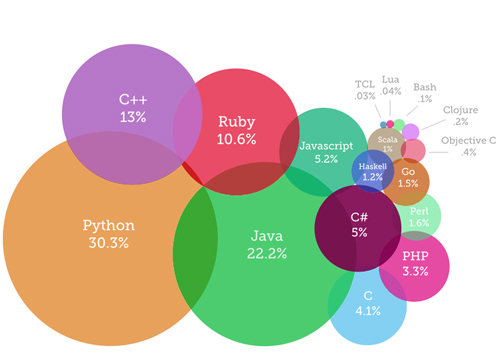 Programming language is an artificial language designed to communicate instructions to a computer. We at Comtech Global provide consultants with top notch experience in Programming languages like DOT NET, JAVA, JAVA SCRIPT, C, C++, C#, PHP, Perl, Python, VB, Ruby on Rails, SAP ABAP etc. In simple terms cloud computing means storing and accessing data and programs over the internet instead of your computer hard drive. 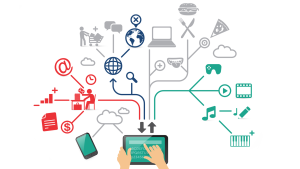 It involves distributed computing over a network, where a program or application may run on many connected computers at the same time. Cloud computing are designed to provide easy, scalable access to applications, resources and services. Cloud computing has become a key component of a successful business and IT strategy. It offers exciting benefits including reduced IT costs and maintenance, on-demand and self-service capabilities, and rapid deployment and scalability to name just a few. Although usage of cloud computing seems easy, however it can also present confusions and complexities such as, what cloud is right for me, is the cloud secure, how do I manage the control, which applications should I migrate to the cloud etc. Comtech Global understands the challenges in cloud computing and tries to simplify the complexities to the customers.